The upper chambers of the Tomb of Sargeras were once a place of worship to Elune. 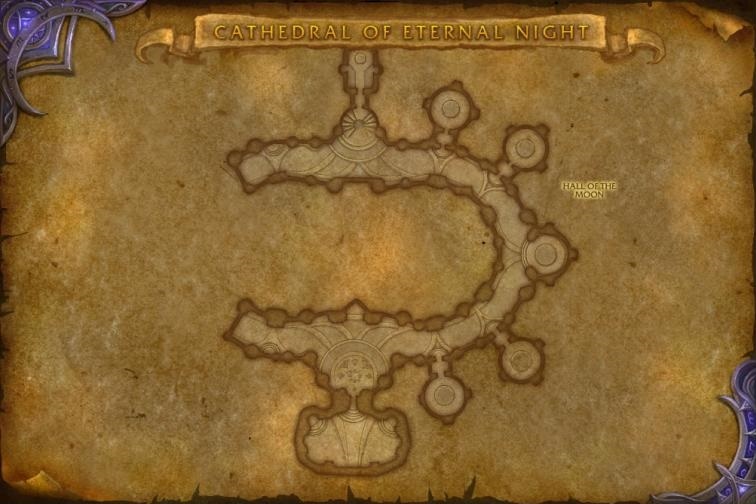 Since the Legion's invasion, fel minions have desecrated this holy place, twisting it into their own image. Now, this site will host a battle that could turn the tide of the invasion. While the Armies of Legionfall engage the fel army directly, a small group of heroes infiltrates the upper reaches of the cathedral in a desperate hope to return the Aegis of Aggramar to its resting place.